Round Rock Noon LIONS do? We meet on the 1st, 2nd and 4th Thursday of each month for lunch at noon at Logan's Roadhouse 2902 Parker Dr Round Rock,TX 78681 We welcome you to stop by for lunch and hear more about the work we do in the community. 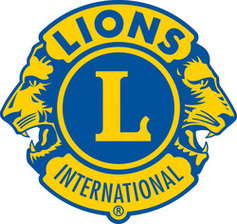 If you are interested in getting more information about the Round Rock Noon Lions Club, please go to the 'Contact Us' page for phone numbers and email addresses.